to address technical complexities introduced by 5G. deployment of new designs at Hall 6 Booth 6G30. 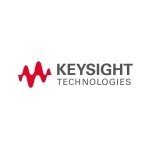 development and design validation across sub-6GHz and mmWave spectrum. capability across radio frequency (RF) and protocol measurement domains. of demands in support of new vertical market opportunities.